St. John's youth ministry now has a page on Facebook page. Click here. A video library has been established at the church. Click here for an index of media that is available. The library is located on the landing going to the choir loft in the church. 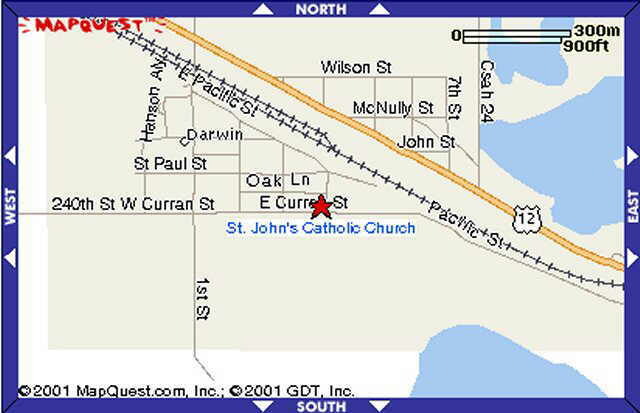 The parish education center is located 2 miles west of Cokato on Hwy 12. Click here for more details. The St. John's Confirmation Program uses text books from St. Mary's Press (SMP). SMP has on line resources available for catechists. Check them out. Resources to help youth deal with tragic events. The internet now offers education opportunities that never existed before. Go to our links page to see some of the resource information that is available on the World Wide Web.